Camp 169: United Armed Forces of Novorossiya: Alexander Zakharchenko: "Love helps me to survive and fight"
First of all, Crimeans were interested in the economic situation in the DPR and LPR: how do several million people survive in the war and blockade conditions? The Head of the DPR noted that, despite the difficult situation in the Donetsk and Lugansk People's Republics, the economy of the young states still shows progress. "The actual challenging situation is caused by the ongoing war. The majority of assets we spend, are intended for the army and improvement of its fighting capacity. But we are making progress in economy as well. In particular, achievements are observed at the enterprises: we don't suspend, but open production sites. It is the third year that we are bearing the entire social pressure the government has undertaken. We preserved the level of utility payments at the pre-war level and still keep it," noted the Head of the DPR Alexander Zakharchenko. The Head of State gave a more detailed comment on his recent statement on the possible amnesty. 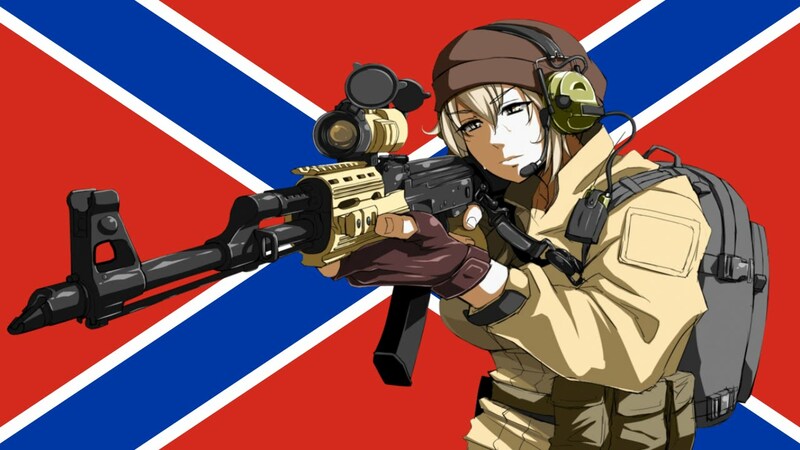 "The authorities of the Donetsk People's Republic are ready to grant amnesty to those living in the Ukraine-controlled territories of the Donetsk region according to the the Minsk Agreements' provisions," stated Alexander Zakharchenko. He emphasized that no article of the Minsk Agreements envisages Ukraine's amnesty to people living on the DPR territory. "The lawful referendum has taken place on the entire territory of the Donetsk region which used to have been a part of Ukraine (now it is the territory of the Donetsk People's Republic). There are temporarily occupied areas. By the way, recently Pyotr Alekseyevich Poroshenko has acknowledged this as well, having stated that the Ukrainian occupation is of a temporary character. Therefore, people living there are involved in the conflict either at their own will (unfortunately, there are such people too), or were forced to commit these or those actions contradicting laws, the Constitution of the Donetsk People's Republic. And our state has the right to grant amnesty to our fellow countrymen who found themselves on the territory which is temporarily occupied by the enemy, and we can do it unilaterally in compliance with the Minsk Agreements' provisions," noted the Head of State. He also recognized that the DPR authorities might announce amnesty to Ukraine's military personnel or officials in Kiev, Dnepropetrovsk, or Lvov if consider it necessary. "Amnesty will be announced for them, if these military personnel and officials haven't been fouled by war crimes," emphasized the Donbass leader. Alexander Zakharchenko explained to Russians, among others, the reason for separate development of two Donbass Republics. According to journalists, this issue is of interest for many Crimeans. In their opinion, once having united, it would be easier for the DPR and LPR to resist to the Kiev authorities. "At the moment the Donetsk and Lugansk People's Republics are not ready for association because of the signed Minsk Agreements," stated the Head of the DPR Alexander Zakharchenko. "I have signed the Minsk Agreements together with the Head of the LPR Igor Plotnitsky. For today any association would mean the change of the Minsk format itself, and we aren't ready for this at present," he explained. Furthermore, according to the Head of State, the Ukrainian party spends most of its time waiting for the Republics to take responsibility for the failure of the so-called ceasefire. It is evidenced by regular provocations on the part of the AFU on the demarcation line. "Now we are facing the most difficult times. Till January 20 Ukraine will be bending every effort to provoke us into backfire in order to violate the Minsk Agreements and accuse us of unleashing another stage of the conflict," noted Alexander Zakharchenko. The Crimean radio was also interested in the attitude of the Head of the Donetsk People's Republic towards those who had run away to the Crimea to escape the war in Donbass. Alexander Zakharchenko noted that run-aways seeking for a more comfortable life and real refugees should be treated separately. "I perfectly understand that tens of thousands of people here in the Crimea have, in fact, just ran away. We don't consider them to be our refugees. I was shocked to learn that in 2014-2015 the entire Yalta was bought by 'refugees' from Donbass. These are traitors," he stated on air. At that the Head of State emphasized that the Crimea had accommodated 12 thousand people who were really running away from hostilities in Donbass. He reminded that during the most violent clashes between Donbass defenders and the Ukrainian army in the million-plus city of Donetsk there were a little more than 200 thousand people. Now, according to the Head of the DPR, about 95% of the pre-war population have returned to the Republic. The Head of the Donetsk People's Republic told journalists what helped him to continue fighting for the DPR sovereignty and survive numerous attempts on his life. "I am an army officer, and was wounded in fights several times. When I became the Head of the DPR, my life was attempted. But in all the fields I was directed by love. I was attacking the enemies with love: to the Homeland, children, history, ancestors, to the language and my fellow countrymen. With this love I had to get up and attack, with love I groaned from pain in a hospital bed. 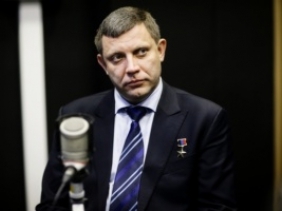 This love won't let get frightened, including during numerous attempts on your life," said Alexander Zakharchenko.